Spitalfields has settled into a comfortable niche as one of London's most authentic and popular neighbourhoods, a place where history meets hipster. Twenty years ago the area appeared doomed, threatened by the march of the corporate office developments pushing out from the cramped Square Mile. Noisy conservationists helped to save some important buildings from the bulldozer and today Spitalfields pulses with life, proving that gentrification can co-exist with a real community, albeit a prosperous, creative one. The area wrapping around the ancient market has a medieval street pattern, a network of winding lanes and narrow passageways that are now lively into the late evening due to the Shoreditch overspill, the City's growing employment count and longer working hours. Principal Tower, above, is a new arrival. 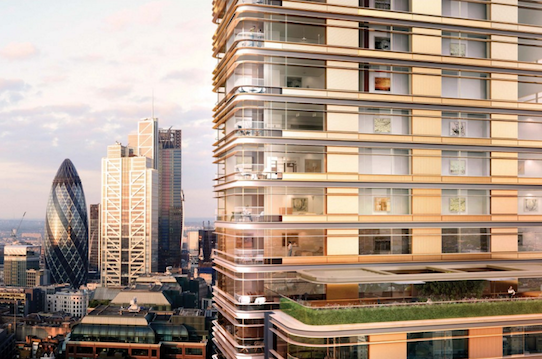 This 50-storey block by Foster + Partners slots comfortably into the historic streetscape due to its restrained design - a facade of bronze and glass, with a crucifix floorplate. Eight rounded corners help to capture light, with views and sheltered outside space for the 301 flats. It is the first residential project to be entirely designed, inside and out, by the famous architectural firm - meaning even small details such as door handles have the Foster trademark. There is a residents' gym and spa with a lap pool, a glamorous reception foyer and a 24-hour concierge. Prices from £960,000 call 020 3883 3333.